The largest number of noble prize winners in Economics are from the US. Largest number of billionaires in the world are in the US. The most respected intellectuals in the world are in the US. The best schools to teach economics are in the US. Some of the brightest minds are in the US. The country whose economic model , touted as that needed to be followed by lesser mortals of the third world, is the US. And the most innovative products that the world has even seen have been made in the US. And the epitome of human rights is the US team. 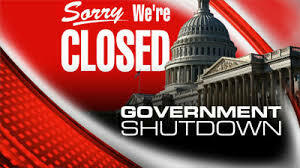 And therefore they all joined together and shut the government down. But it doesn’t need these many people and technology to do this. Lalu would have done this in no time with no technology. See what he did to Bihar. So take Lalu. Give him visa. He is your savior. Previous Article Shutting down, yes papa ..
Nancy endorses every damn thing..
Look like 3 idiots.. Speculation has become a norm.